"We have used Forensic Analytical Laboratories for over 15 years, as our primary source for asbestos, lead and microbiology analytical needs. The staff are both professional and courteous. But their attention to deadlines is what sets them apart. We at G2 pride ourselves on responsiveness to our clients. We truly feel that the relationships that we've built with both Jim Flores and Melissa Piercey give us the confidence to promise aggressive deadlines and technical expertise to our clients, and know that our analytical results will be delivered on or before the time they are requested." -- Noal Kraft, Principal, G2 Consultants, Inc.
"I have been using Forensic Analytical exclusively now for over the past ten (10) years and have enjoyed the professional customer service and client recognition experienced from each of the Laboratory Departments. The reputation of Forensic Analytical is second to none and is known throughout the industry for their expertise, knowledge, character and reliability which is what I want in the lab analyzing samples for my projects." "As a long time (15+ years) client of Forensic Analytical Laboratories I was delighted when asked to give a testimonial. Because over the years I have found them to provide a premier level of service. By this, I mean they never fail to answer questions I have or provide me with advice and direction when I am floundering around in new territory, even to the extent where they direct me to use a different lab at times when the service I am looking for is beyond their scope. In my experience you can't do any better than using Forensic Analytical Laboratories." 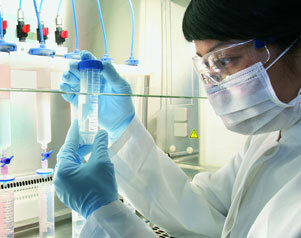 "Whether it's been scheduled or emergency sample submittals Forensic Analytical has always come through for us. Over the past twelve years the asbestos, metals, industrial hygiene and microbial labs have all consistently provided results when requested. The reports are emailed on a timely basis and are easy to read. When we did have questions regarding results analysts or supervisors were always available to answer them. We will continue to utilize Forensic Analytical Laboratories and refer colleagues and clients to them." "While conducting government research on asbestos contamination in soil and air at past mining sites, we searched for dependable laboratories for sample analysis. We looked overseas because no laboratories in Korea had the technical experience or could provide the media. Forensic Analytical Laboratories provided not only the sample analysis but also the valuable technical assistance we needed to successfully accomplish the task. Their staff members were professional and courteous so as to arrange many US site visits for the project. Eventually our research was instrumental to promulgating two major asbestos-related regulations in Korea. I very much appreciated their timely service and technical advice when I needed them most."